Floral scarves. Mosaic art. Parks, cows, singers and the Oreo cheesecake at a local coffee shop. 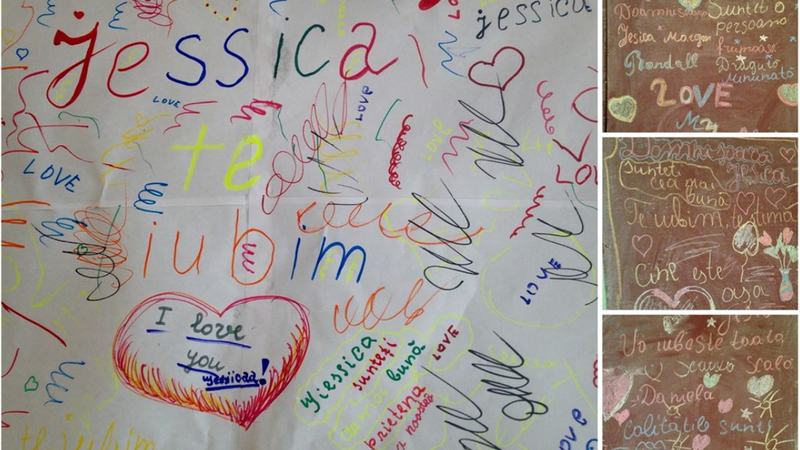 These are just some of the things I’ve liked during my two years as a health education volunteer with the Peace Corps in Moldova. Throughout my time here, I have taken hundreds if not thousands of photos of my experience. As I neared the final 100 days of my service, I found myself reflecting on my favorites. To celebrate and share this incredible journey, I began collecting these photos into a list of what I’ve liked best. I’ve been posting the series on Instagram at instagram.com/100favoritesmd. 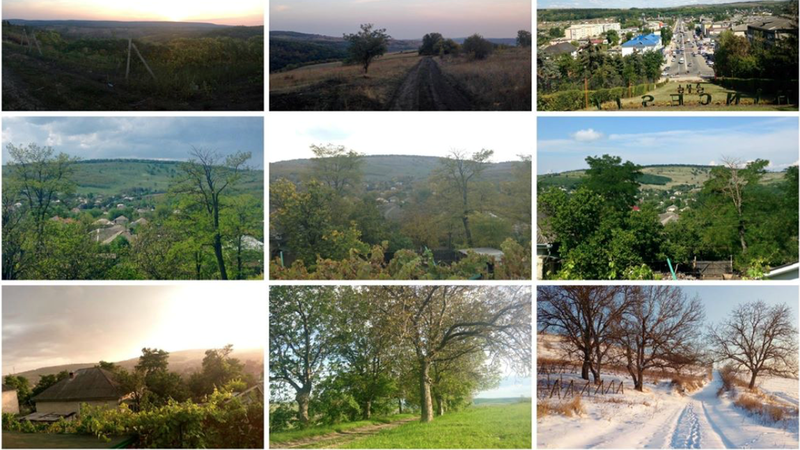 I started the project to share my favorite things about Moldova with my friends and family in the States. My Moldovan friend Marcela, a journalist, saw the posts and wrote an article about them for a popular online newspaper. Since then, many Moldovans have told me how much they appreciate seeing what a foreigner likes about their country. Since then, the subjects of my posts have varied widely — from monasteries and wedding dances to sparkly wallpaper and the first shop I found that sells chocolate chip cookies. In one recent post, I featured a single photo illustrating a habit I’ve noticed here that I enjoy, how two people may carry a heavy bag together by each holding one of its handles. 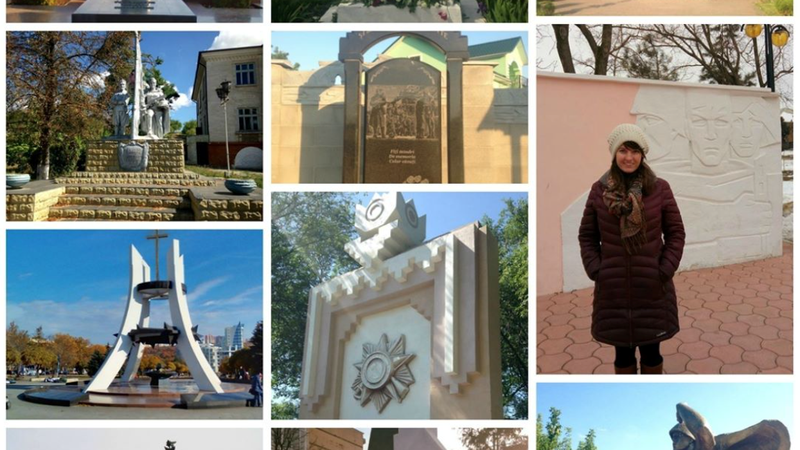 Other posts lend themselves better to photo collages, such as when I’ve described Moldova’s transportation system — everything from its crowded micro-buses to its distinctive bus stops and sidewalks. One of my biggest projects in Moldova was working with the organization Novateca to train librarians across the country to enhance the security of their computers. We held workshops in several locations, which gave me the opportunity to see even more of this small and beautiful country, which is located in eastern Europe between Ukraine and Romania. Before joining the Peace Corps, I studied international public health at George Mason University in Virginia, which was good training for my volunteer position. In August, I will begin graduate studies in global environmental health at Emory University in Atlanta. For now, though, I am focusing on the remainder of my service in Moldova and on completing my 100-day Instagram series. I hope everyone who sees the posts will enjoy learning about this beautiful country where I have been graciously welcomed for the past two years. 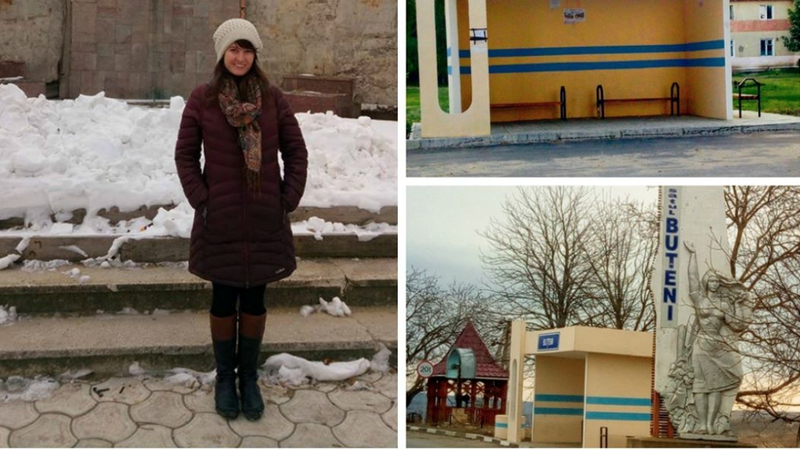 Jessica Randall is a health education Peace Corps Volunteer in central Moldova.